Recently, Motor Man and I made a quick, one-day trip to the Outer Banks. Although I always love taking pictures, this was one of those days custom-made for photography. 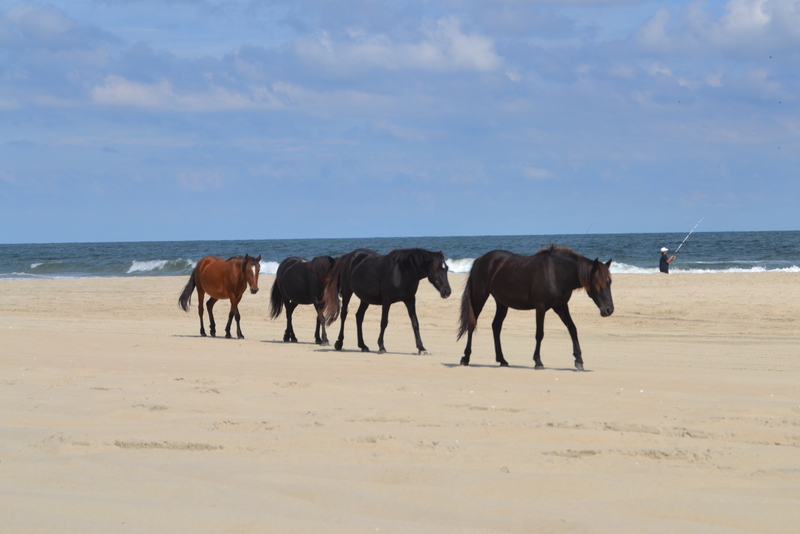 There were a few horses on the beach. Oops! One more – running to catch up to the others. Disclaimer: these pictures were taken with my “long” lens, and then cropped. …”objects seen here appear closer than they really are”. 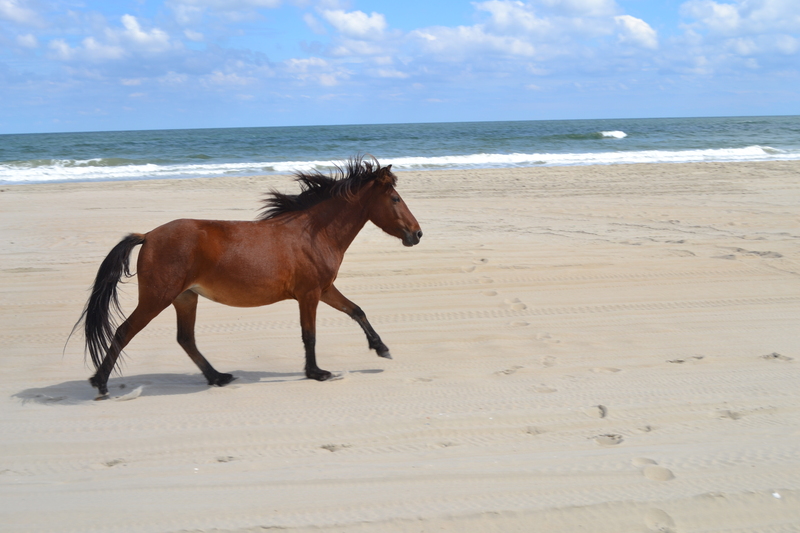 This entry was posted in OBX Wild Horses, Traveling Days and tagged obx wild horses. Bookmark the permalink. Another beautiful day at the beach compete with some of the “residents” ! 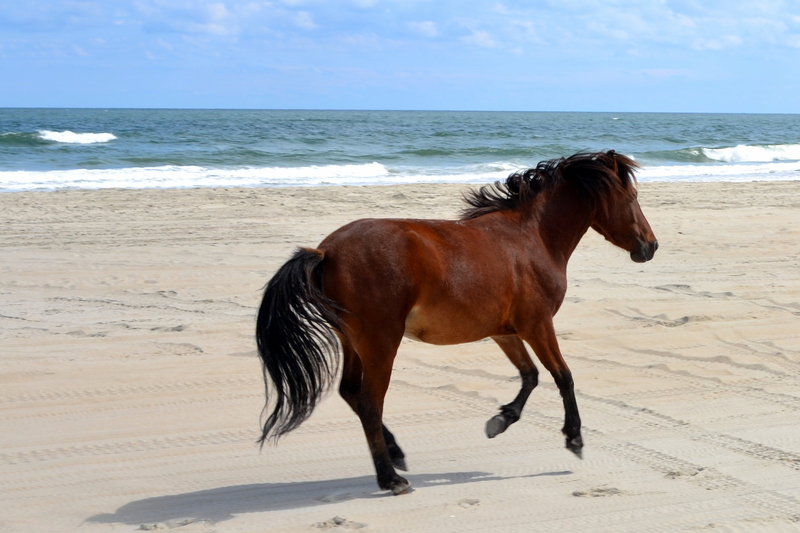 A trip to the OBX wouldn’t be complete without pictures of the horses….looks like they were enjoying the beautiful weather,too! Lovely! I haven’t been to this beach but it’s on my to-do list. 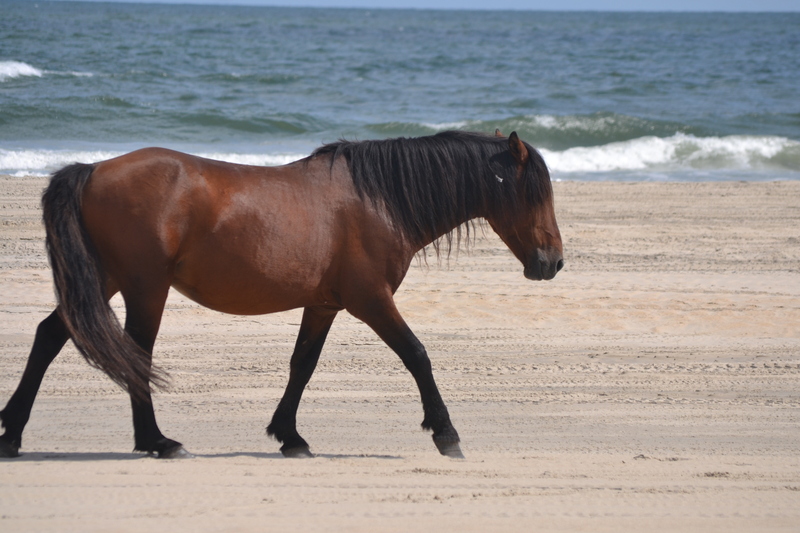 What could be better – the beach AND horses! Beautiful as always. What a gorgeous day and your photography is superb. I love the horses even if they do appear closer than they really are. Shows your mastery of the camera. Looks like you caught a good day for horse hunting and photos! You should have stopped in for a visit! 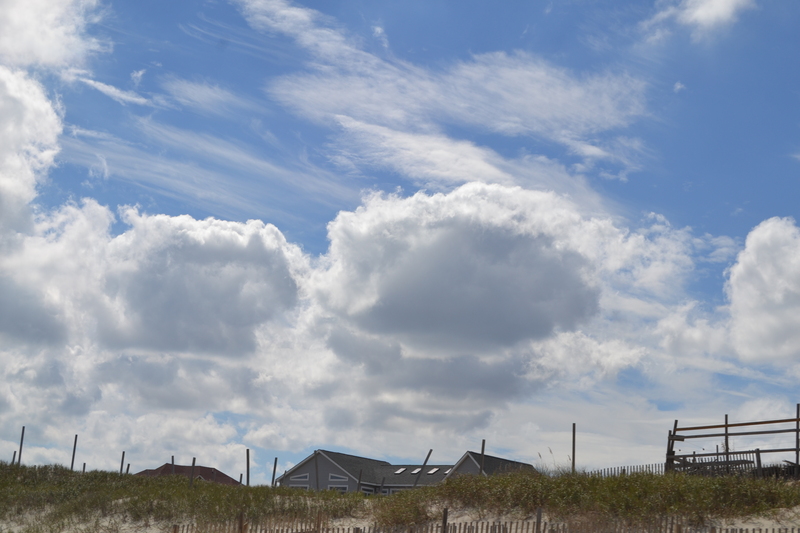 Was that the same day the clouds were really putting on a show ? It looks like it from that first pic! Perfect day for the beach, horses, and pictures! Thanks for sharing. Nice shots on a perfect fall day.